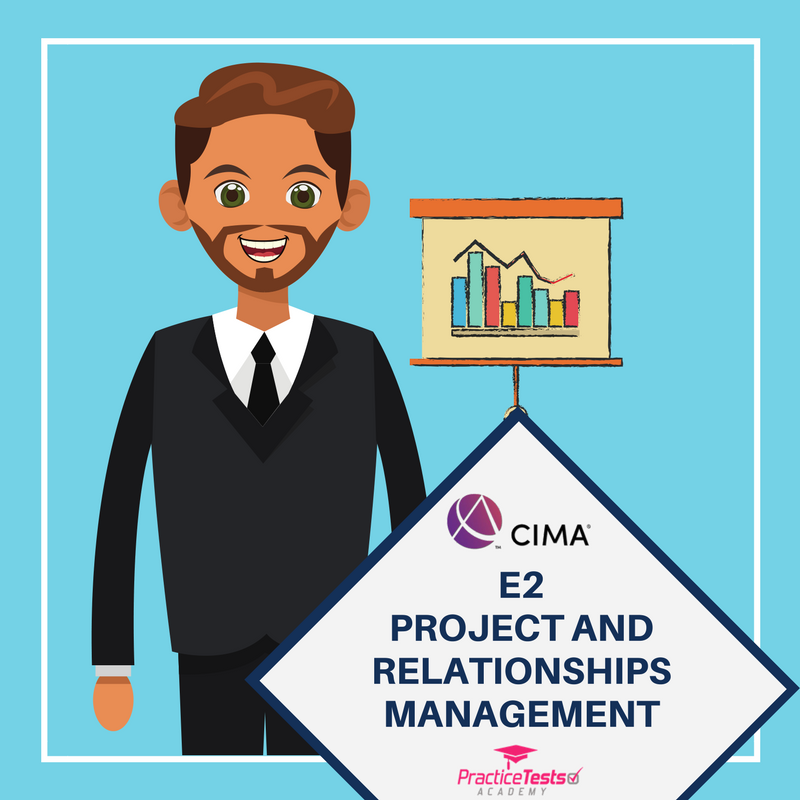 Become proficient in every aspect of project management. 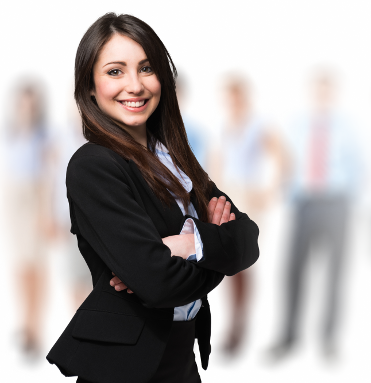 Learn the skills necessary to improve your career. How can I pass my E2 exam? Not all students pass their E2 exam on their first attempt. Watch this video to see how this tool will help you pass your E2 exam. 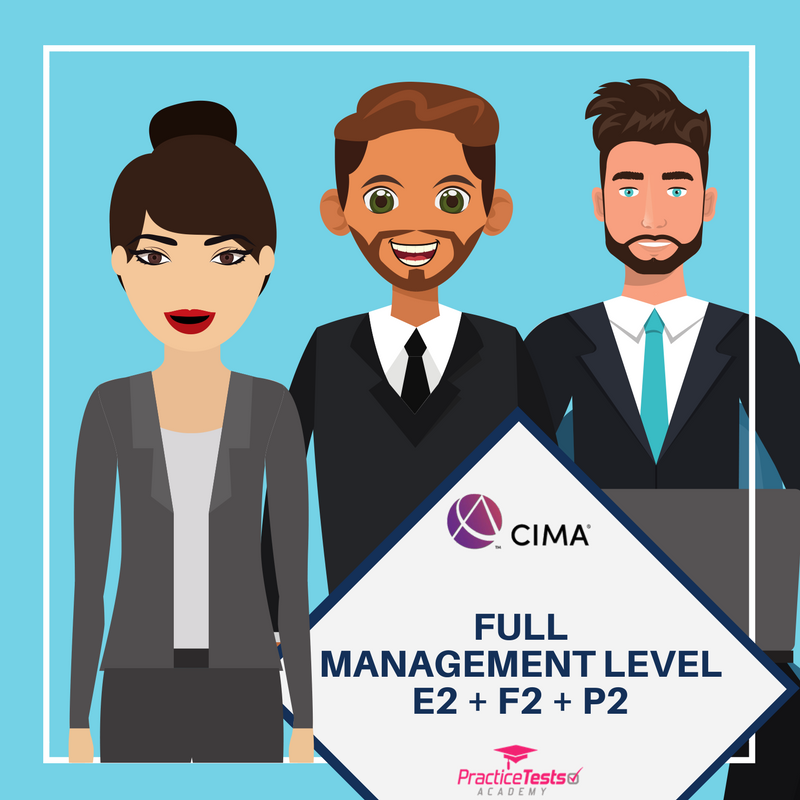 CIMA E2 emphasises a holistic, integrated approach to managing organisations, from external and internal perspectives. Emphasize the concept of strategy and how organisational strategy can be implemented through people, projects, processes and relationships. 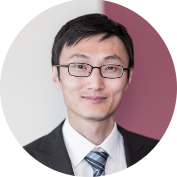 Provide the basis for developing further insights into how to formulate and implement organisational strategy. 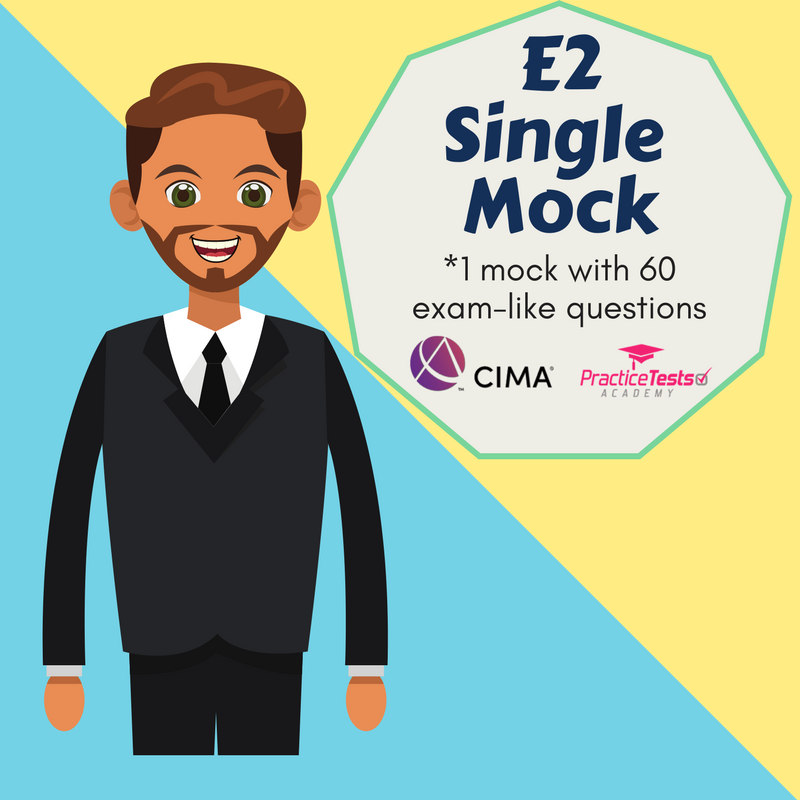 Need help passing your CIMA E2 exam? Whether you are studying with a tuition provider on a full- or part-time basis, self-studying or using other study methods, our interactive Practice Kit will complement your chosen method and give you the confidence to take your next exam. Use our E2 mocks to familiarise yourself with the syllabus and assessment method. It is the perfect tool for your exam preparation and practice. Test yourself on 60 questions under exam conditions and get a full report indicating your strengths and weaknesses. 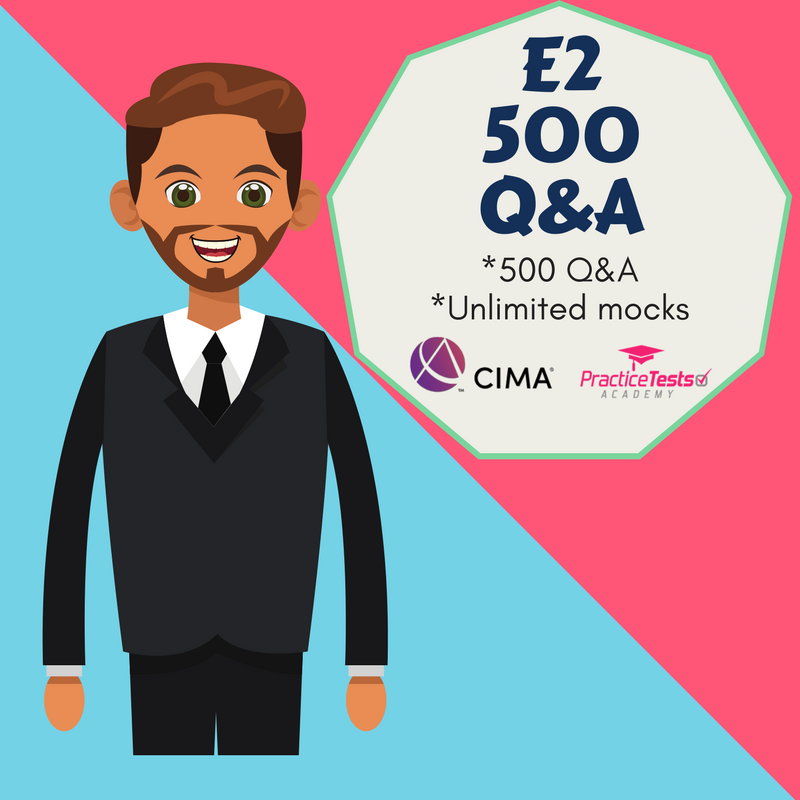 Complement your CIMA E2 studies with our complete set of 500+ questions and answers. You will be able to attempt questions at your own pace, getting instant feedback on your answers and an explanation of the correct answer. This study mode allows you to focus on specific syllabus areas. We've created our tests in such a way that you can choose how you want to practise - either by part of the syllabus or directly by chapter of the study book. No need to choose. Give yourself flexibility with which paper to study first or second or third. Assure yourself an access to each paper's practice kit with 500 Q&A for a full year. Set yourself for success. 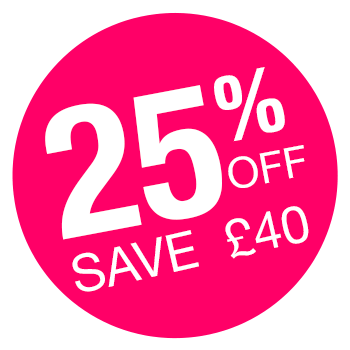 With this bundle offer to get 3 x 500 Q&A packages at once, you are saving £40. Instead of £165, pay only £125. If for some reason you had a quick look at the 500 Q&A package and you didn't find the tool enough transformational, just let us know what is the reason and we'll send you your money back. Our policy can be found here. I've been one of the first users of this website. Studying for a CIMA exam on your own, when you have a full-time job is hard. I revised the material, but the questions I had before were not enough. I wanted to practice on my laptop, just like the real exam is conducted. Here I was able to do that and... I passed my E2 exam! On the first sitting! I cannot be more grateful! Keep up the good work Practice Tests Academy! If you had a quick look at the 500 Q&A package and you didn't find the tool transformational enough, just let us know why and we'll send you your money back. Our policy can be found here.